We are only two weeks away from Halloween and then the holidays are upon us, which always have a festive mood and a need for â€œlooking our bestâ€ Â while we entertain and enjoy the festivities. Keratin hair straightening can help you manage those holiday stresses by creating a look that can vary in many ways, giving you different styles beginning with one technique. Not only is it something that helps you look your best but it keeps your hair from being unruly and wild. The last thing you need as your putting on the finishing touches going out the door to that holiday event is hair that just goes wild! 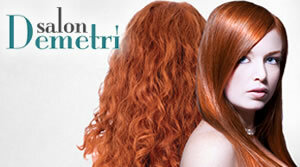 With todayâ€™s Alaska Rewards offer for only $100 get a KeraPure Smoothing treatment from Salon Demetri ($200 Value). KERAPUREâ„¢Â synergizes keratin proteins and cross-links amino acids and gold peptides to alter the structure of the hair by temporarily breaking the cysteine bonds in the hair and penetrating through the cuticle into the hair cortex to form new covalent unions with unique polypeptides that enhance shine, condition, strength and resistance to all hair types. This exclusive 4-in-1 complex smoothes frizz, restructures the hair, reduces waves and repairs damage.Â Hair will immediately feel soft and silky.Â Frizz will be completely eliminated.Â Waves and curls will be smoothed.Â Volume and â€˜pouffinessâ€™ will be reduced.Â Hair will be stronger, shinier and healthier. Let Salon Demetri work their magic through your tresses and have you looking your fabulous self this holiday season. Limit 1 per person, may purchase 2 more as a gifts. By appointment only. Not valid with any other offers. Gratuity not included.